This sign is for Tiolene Motor Oil. The sign’s colors are yellow and black. 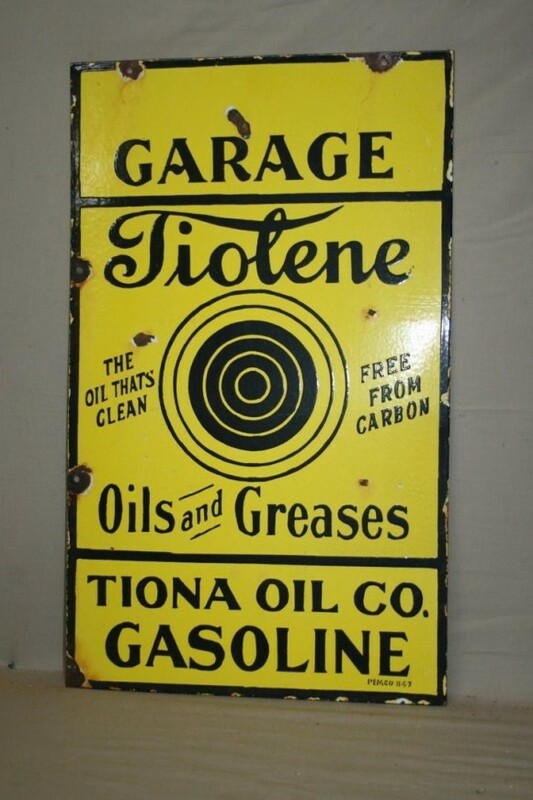 The text on the sign reads: Garage Tiolene the oil that’s clean free from carbon oils and grease Tiona Oil Co Gasoline. The sign shows a target in the center with surrounding decorative text.